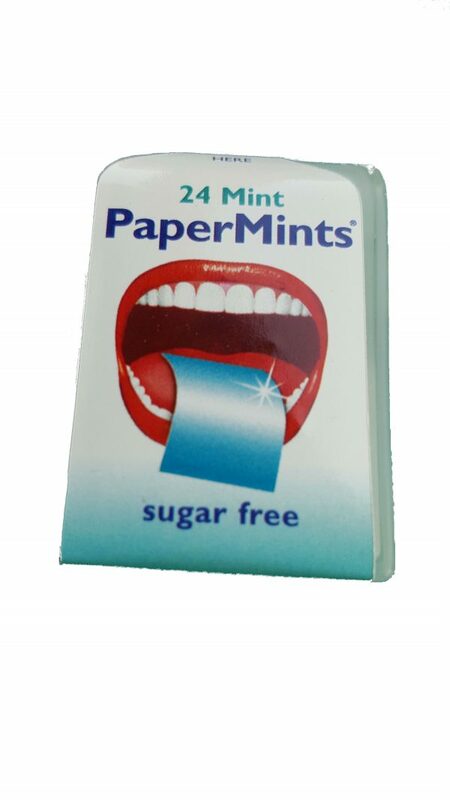 PaperMints are sugar free and the cool mint flavour gives you fresh breath on the go. 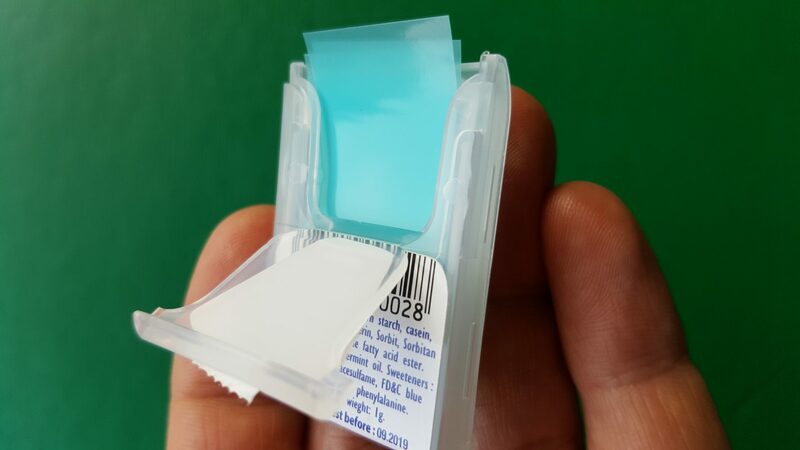 Each pack contains 24 fresh breath strips that instantly dissolve in the mouth. 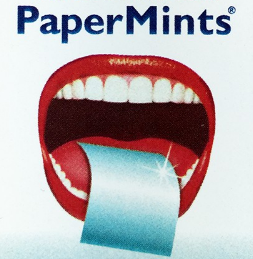 PaperMints fresh breath strips are ideal when needing to instantly freshen the mouth instead of using toothpaste, mouthwash or chewing gum. 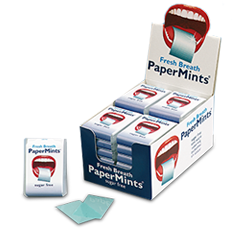 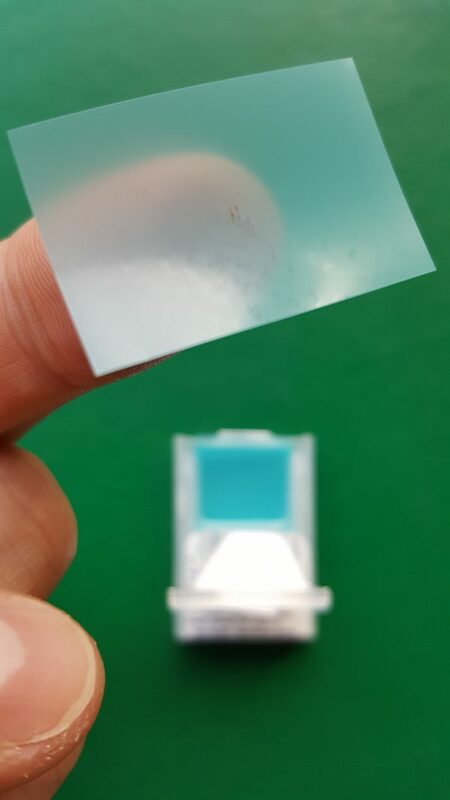 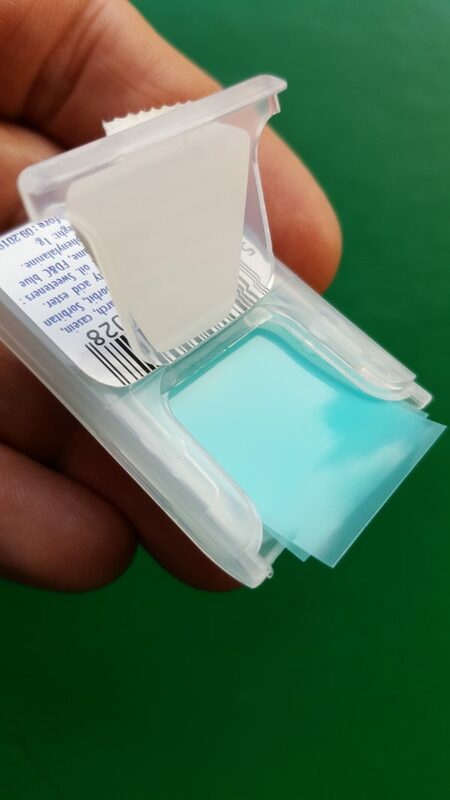 PaperMints Breath Freshening Strips come in pocket size containers, each containing 24 instantly dissolvable strips. 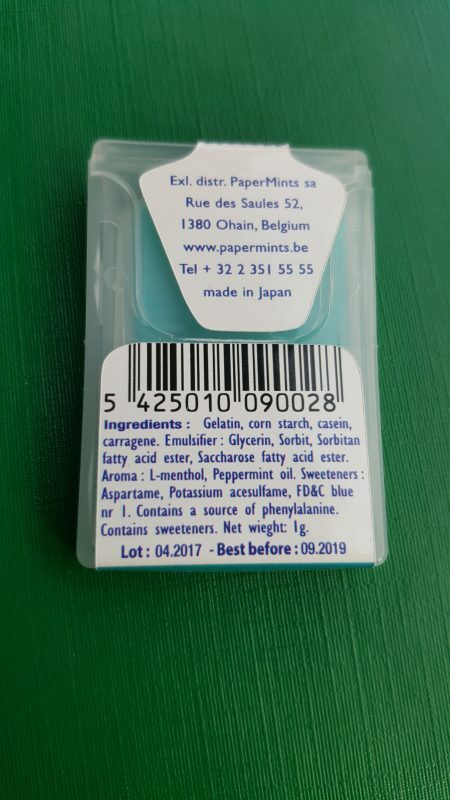 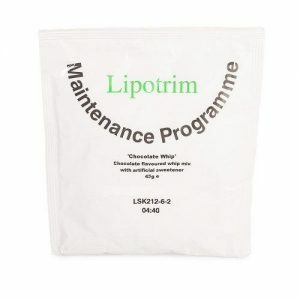 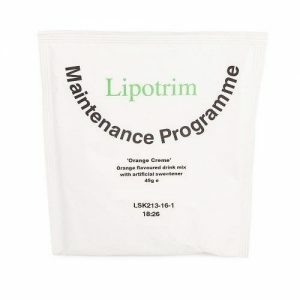 They are ideal to instantly freshen breath whilst doing any kind of dieting, as they are sugar free and do not interfere with the dietary ketosis process (for example on the Waistaway Sure Weight-loss Plan with Lipotrim, Atkins Diet, Lighterlife or the Cambridge diet). Directions for use – simply take one wafer-thin strip from the pocket-size container and place gently on your tongue. 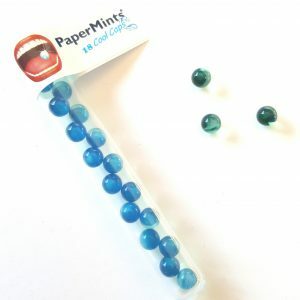 It takes mere seconds for fresh breath and can be used as often as needed.